Article illustrates numerous printed pants and points out to readers their unique connection with spring weather. The coming of spring dawns an entire new landscape front of us. Its arrival beckons a feeling that life is renewing across what was earlier a frozen landscape. From a fashion perspective, this sea change is impressive as when one looks around he will find people far more gay and merrier than when winter was freezing over. 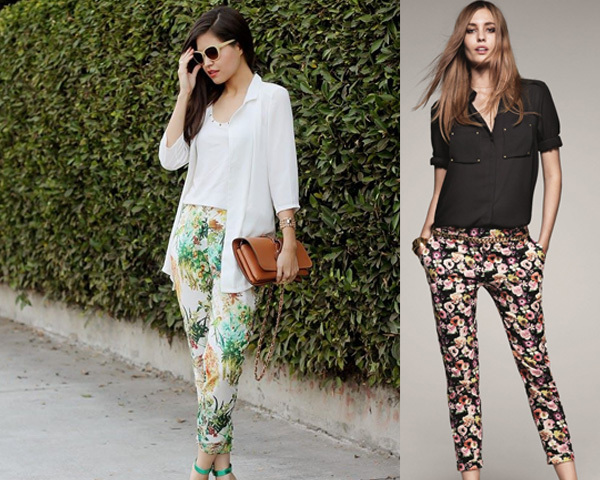 Apparel that women frequently resort to during spring season is wearing Printed Pants. 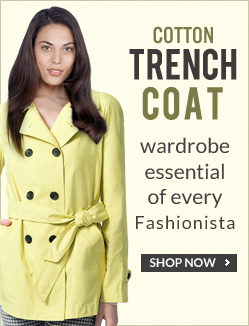 They are look upon to enhance one’s personality, especially if one wears brighter colored printed apparels. Today’s article is dedicated to that ensemble collection. Let us look at the latest in trousers collection. If you have print trousers, one-way of styling is to match it with a smart blouse, it will make you look more masculine and give an overall balanced look. If your personality is similar to those daring girls who are extremely confident about themselves and do not mind being the center of attention, the wear it completely. 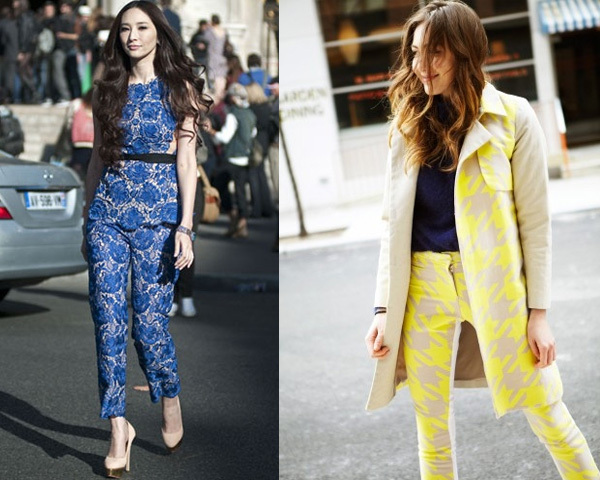 We mean pair a loud print trouser with a similar blazer; it is a great way to make a fashion statement to remember. The latest style in wearing print is pairing your trousers with a smart casual shirt. A great way to combine ‘timeless’ shirts with smart pants, of course one must also have the right accessories to complete the look. The right accessories are necessary to complete your look, opt for junk jewelry, gold neckpieces or a designer long gold chain. 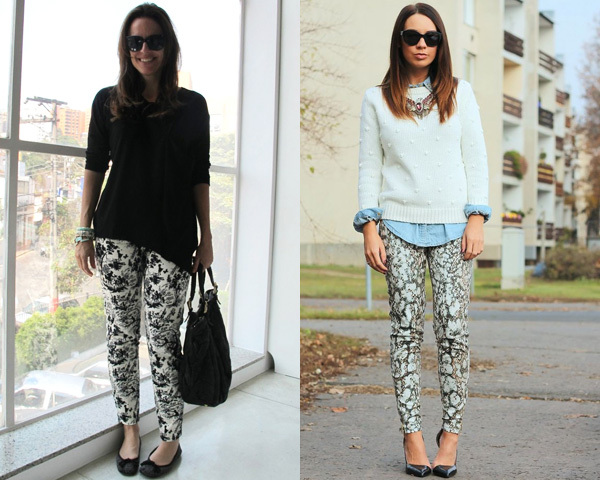 Creativity is the key here too, try experimenting and you will never get bored of wearing print apparels. Hope you have enjoyed reading today’s article; our earnest belief is after denim it is going to be print that is going to be timeless for quite a while. In addition to this if you would like us to write on any particular topic, do let us know, we would be happy to oblige.